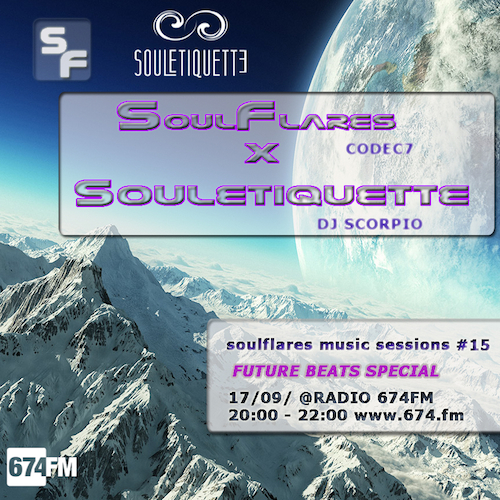 Soulflares Music Sessions # 15 in september presents a „Future Beats Special“ with a guest mix of DJ Scorpio (Souletiquette). Two hours of finest Future Beats and Sound of Tomorrow will hit your speaker! Souletiquette is a collective label, but also a radio station based in Dublin, Ireland created and founded by young entrepreneur, DJ Scorpio in late 2013 to promote the culture of the new future beats & sounds scene. A group of creative and talented individuals devoted to exploring the abstract future sounds as they call it. 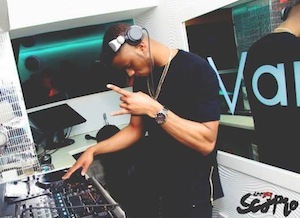 Souletiquette is constantly looking to expand their collective with fresh new artists. Each week they broadcast LIVE on Irish National radio station RTÉ Pulse with a guest artist, playing music generally known and recognised worldwide as „futurebeats“. Each session is free on soundcloud, because their goal is to showcase artists, producers & DJ’s talent and to honor them by distributing their music.